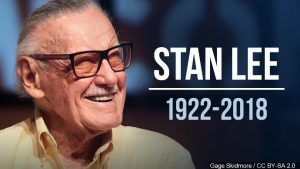 Beloved Marvel Comics publisher and creator of a legion of iconic superheros Stan Lee died November 12th at the age of 95. 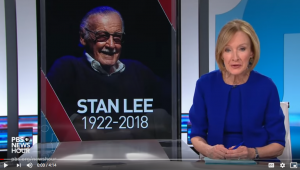 Tributes to Lee are popping up all over, including a display of Marvel and comics-related books in the Castleton library. 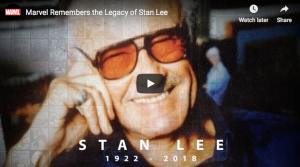 BoredPanda.com posted 30 artists’ tributes to Lee here.